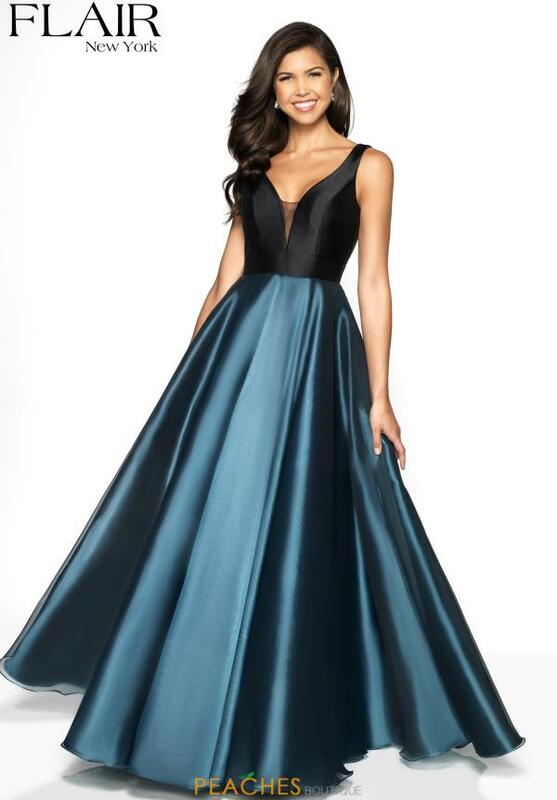 This beautiful Flair prom dress style 19040 will let you dance the night away. Showcases a low v neckline along with a skim fitting bodice. A full a line skirt flares out at the waistline and is sure to flow with every step you take. A full open back with a dramatic bow complete this captivating look.